There’s nothing more fun than getting ready for the holidays. The festivities, warmth, and decorations make this a magical season. 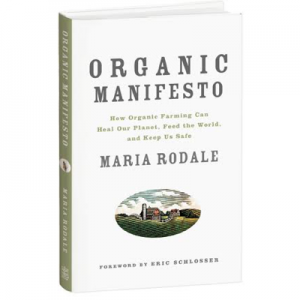 These ecofriendly, beautiful decorations are at the top of our list this holiday—all available at Rodale’s. 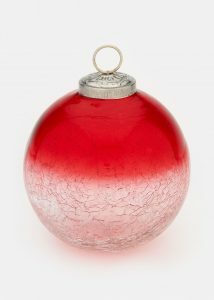 We adore this recycled glass ornament. The substantial ornament comes in three colors and can be hung on a sturdy tree branch—or displayed in a bowl as tabletop décor or atop your mantle. 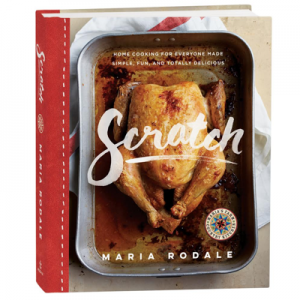 The crackle detail at the bottom gives this a uniquely timeless look that catches light so perfectly. 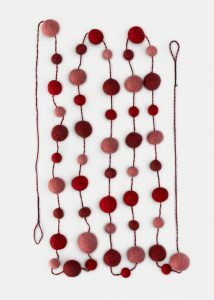 Adorn your home with festivity and warmth during the holidays and beyond, courtesy of a long, richly red garland. Made of naturally sustainable handfelted wool, each piece is lovingly created by artisans in the Rajasthan State of India who are well versed in traditional techniques. 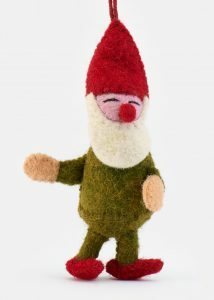 Handfelted by artisans in India using durable, sustainable wool, this cheery elf ornament makes an adorable trinket to adorn your home this holiday season. 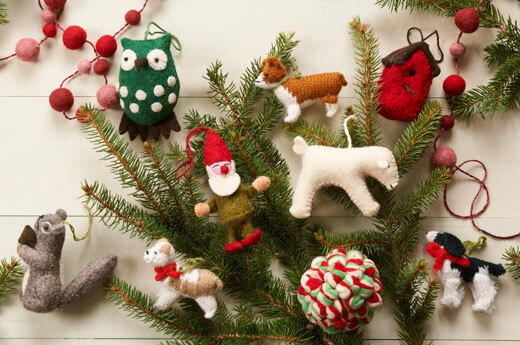 Keep your spirit warm by hanging this little guy on your tree or giving him as a cheerful, festive gift.